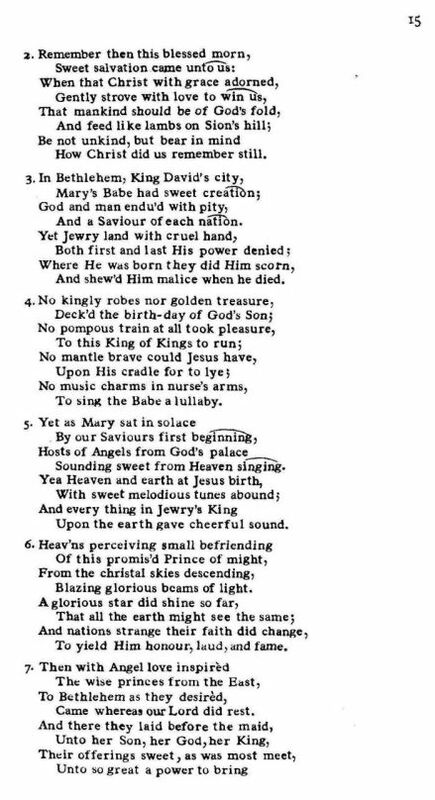 Source: Davies Gilbert, Some Ancient Christmas Carols. London: John Nichols And Son, Second Edition, 1823, Carol #7, pp. 20-23. Also compared to Davies Gilbert, "Some Ancient Christmas Carols." London: Nichols and Sons, 1822, reprinted Boston: Elibron Classics, 2007. The 1822 edition has been scanned and posted on Google Books. With many a bleeding purple wound. How Christ did us remember still. And a Saviour of each nation. And shew'd him malice when he died. No woman's help at mother's need. To sing the babe a lullaby. Sounding sweet from Heaven's singing. Upon the earth gave cheerful sound. To yield Him honour, laud, and fame. Unto so great a power to bring. To buy dearly this salvation. Is still the best day in the year. 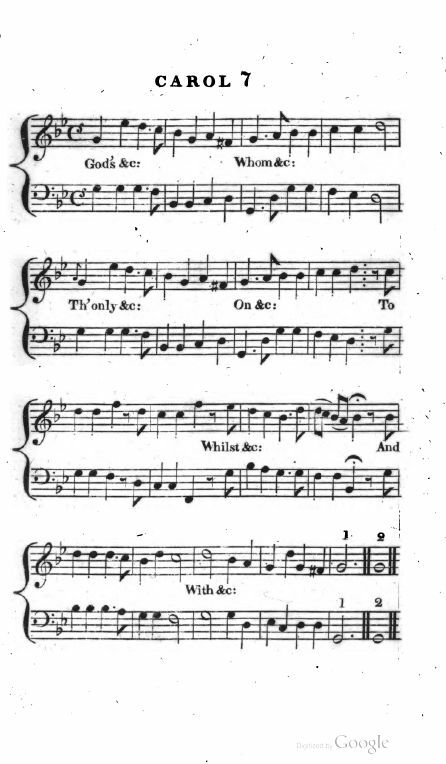 Sheet Music from Davies Gilbert, Some Ancient Christmas Carols. London: John Nichols And Son, Second Edition, 1823, Carol #7. 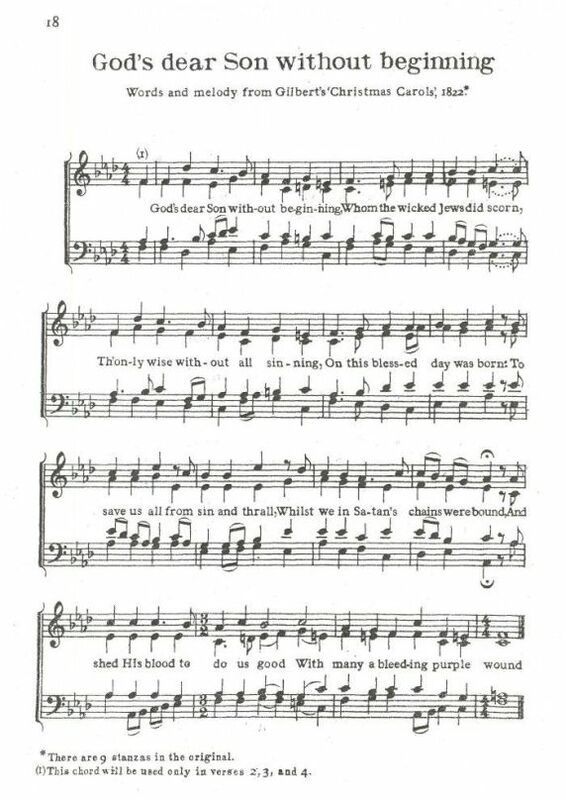 Sheet Music from William Sandys, Christmas-tide, Its History, Festivities and Carols, With Their Music (London: John Russell Smith, 1852), pp. 258-60 (omitting verses 2 and 7 above). 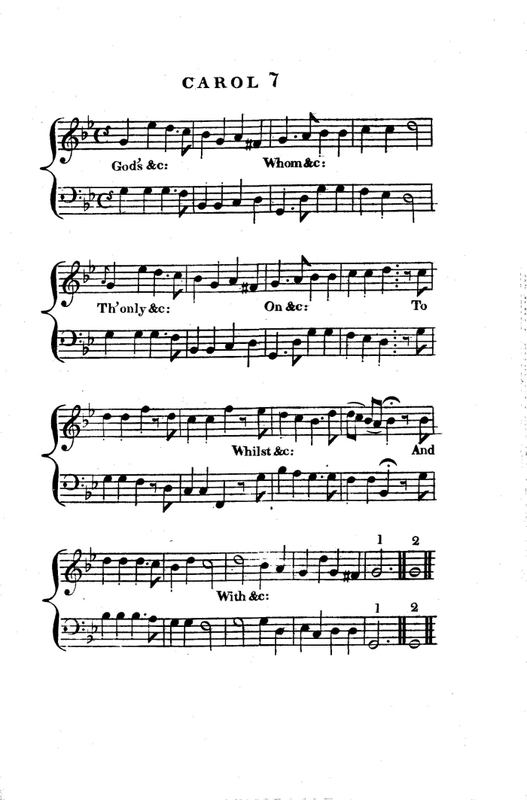 Sheet Music from Ralph Dunstan, The Cornish Song Book (London: Reid Bros., Ltd., 1929), p. 100. 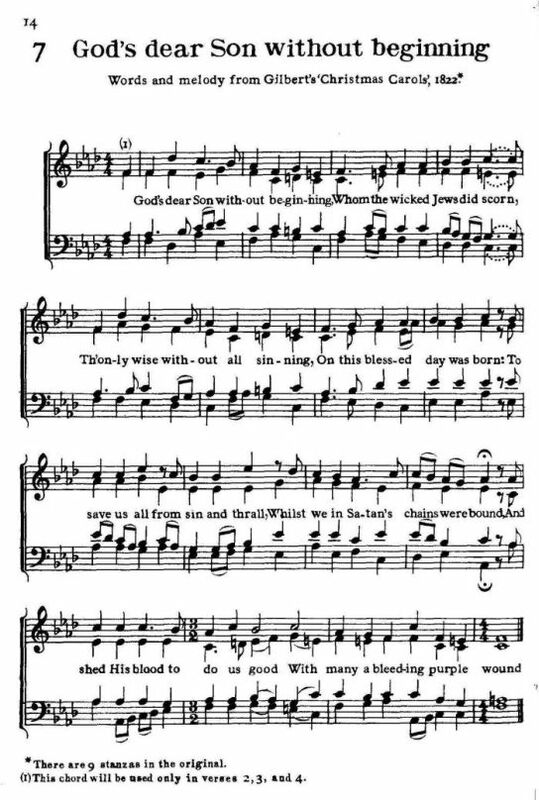 "Melody and Bass (slightly altered) from Davies Gilbert's 'Christmas Carols,' 1822"
Sheet Music from Richard Runciman Terry, Two Hundred Folk Carols (London: Burns Oates & Washbourne Limited, 1933), pp. 14-15. Found in both the Oxford Book of Carols (13) and the New Oxford Book of Carols (145). Both properly omit the unfounded slander against Judaism in the second line of the first verse, replacing it with with "wicked priests" or "vile men." Neither give any background for the carol. 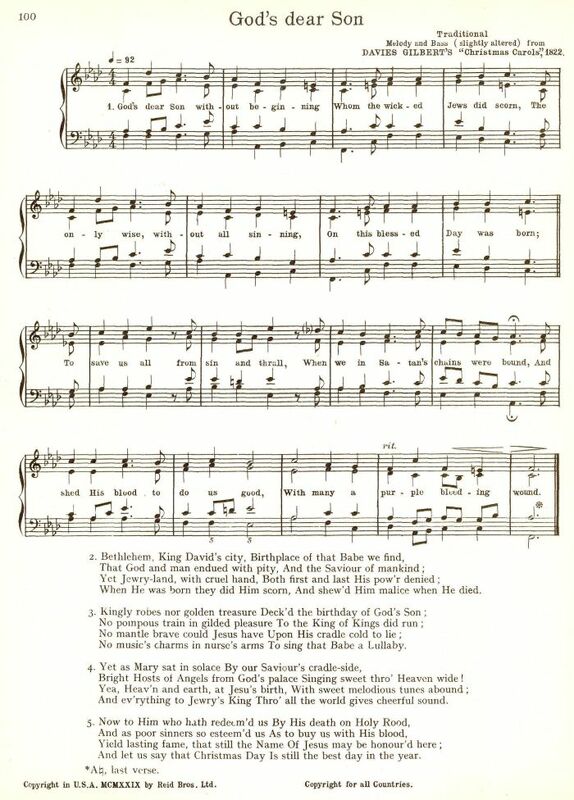 The Oxford Book of Carols states that Gilbert (1822) contained eight verses. However, in both the 1822 and 1823 editions, there were nine verses, although the ninth verse was mis-numbered as "VIII" in both. 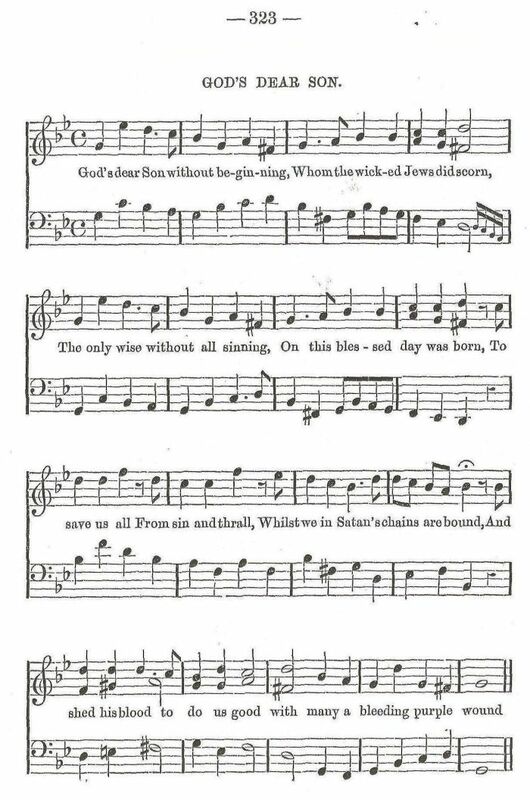 The New Oxford Book of Carols states that it was found in Sandys, 1833. I was unable to locate the carol in my copy of the 1833 edition, although the carol is in the 1852 edition with seven verses (omitting verses two and seven above).